Kerala Engineering, Agriculture and Medical (KEAM) is a state level entrance examination. KEAM is conducted by CEE (Commissioner of Entrance Examination). KEAM 2018‘s Paper I (Chemistry and Physics) will be held on 23rd April 2018 and Paper II (Mathematics) will be held on 24th April 2018. 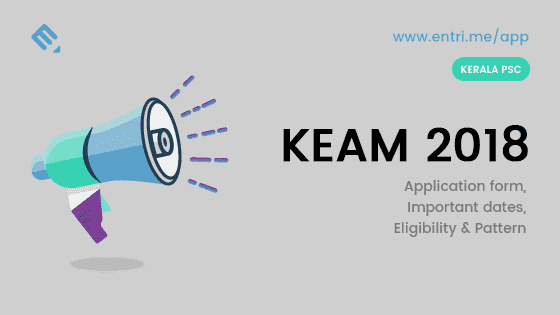 The application form for applying KEAM 2018 will be available at CEE’s official website. Candidates can apply online through the website. 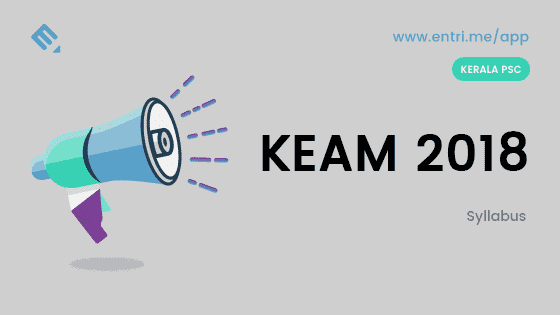 Eligible candidates should send only one application for all courses in KEAM 2018. At first, candidates should enter the basic details such as Name, Date of Birth, Mobile Number, Email id etc. Email id and mobile number should be valid. After completing the registration process, the applicant shall get an Application Number for login. In the next step, the applicant should fill out their personal details, educational qualifications, uploading photograph, signature and left thumb impression etc. Then make payment for the application fee and submit the application form. The applicants must keep a print out of filled up application form with the required documents and send it to the office of CEE via post. Here are the courses offered through KEAM 2018. *ST candidates have been exempt from paying application fees. Candidates who choose ‘Dubai’ as examination center will have to pay an additional fee of 12,000 via online payment. The additional fee can also pay in the form of e-challan if payment is made in India. Applicant should have complete an age of 17 years on the 31st December 2018. No minimum age relaxation is allowed. There is no upper age limit for Engineering, Architecture and B.Pharm Courses. 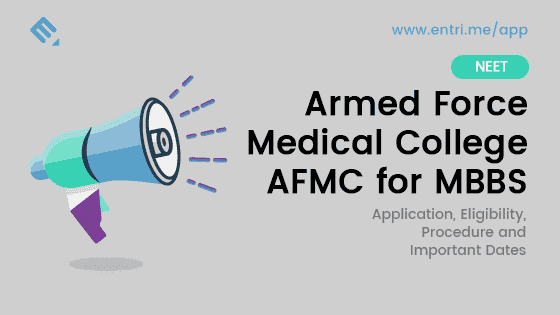 But for Medical and Allied courses, the upper age limit will be allowed as per NEET-UG exam 2018. Only Indian citizens are eligible for the admission through KEAM examination. Persons of Indian Origin (PIO)/ Overseas Citizen of India (OCI) will also be treated at par with Indian citizens for the limited purpose of admission. However, they won’t be eligible for any kind of reservation. Candidates who are looking for a Professional Degree course will be categorized as Keralites and Non-Keralites Category I (NK I) and Non-Keralite Category II (NK II). Keralite: Kerala origin candidate will be categorized as a ‘Keralite’. And only ‘Keralite’ candidates are eligible for Special/Communal/ /Persons with Disabilities reservation or any other fee concessions etc. Non-Keralite Category I (NK I): A candidate who is not of Kerala origin but follows any one of the given conditions will be categorized as ‘Non-Keralite Category I'(NK I). A candidate who has undergone the qualifying course in Kerala and who is son or daughter of Non-Keralite parents belong to Government of India/Defence Service posted to Kerala. A candidate who has undergone the qualifying course in Kerala and who is son or daughter of Non-Keralite parents who is serving/served Government of Kerala for a minimum period of two years. A candidate who is not of Kerala origin but has been a resident of Kerala State for a period of five years within the period of 12 years of his/her study. 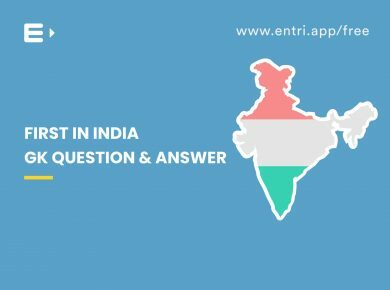 A candidate who is not from Kerala Origin but who has undergone his or her school studies in Kerala from 8th standard to 12th In order to prove that the candidate is a Non-Keralite Category I (NK I), he/she have to produce the relevant proof with the printout of the application form. Non-Keralite Category II [NK II]: Candidates who are not under ‘Keralite’ or ‘Non-Keralite Category I’ will be categorized as ‘Non-Keralite Category-II’. Such candidates are eligible for admission to Government seats and Management quota seats in Engineering courses in Government Controlled Self financing Colleges. 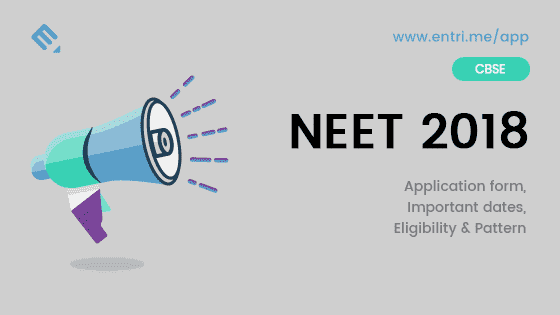 However, the NK II- ‘Non-Keralite Category-II’ candidates will be considered for admission to the Government seats in Government Controlled Self Financing Engineering Colleges only when the Keralite and Non-Keralite I (NK I) candidates are not available for admission. Engineering courses: The applicants should have passed Plus Two or equivalent Kerala Higher Secondary Education Board or equivalent examination in Mathematics, Physics and Computer Science / Biotechnology / Chemistry / Biology. Also, the applicant should secure a minimum of 50% marks in Mathematics separately, and 50% marks in Physics, Mathematics and Computer Science / Biology/ Chemistry / Biotechnology. For B.Arch: The candidate should have passed 10+2 or equal examination from a recognized Board with Mathematics as a subject OR Should have a 10+3 Diploma perceived by Central/State Governments with Mathematics as a subject OR have an International Baccalaureate Diploma, after 10 years of schooling, with not less than 50% marks in aggregate and with Mathematics as compulsory subject of examination. MBBS, BDS, BSMS: Candidates who have passed in the subjects Physics, Chemistry and Biotechnology/Biology in the Higher Secondary examination of Kerala Higher Secondary Education Board, or examinations recognised equivalent thereto, with 50% marks in Biotechnology/Biology separately, and 50% marks in Physics, Chemistry and Biotechnology/Biology put together, are eligible. In the absence of Biology, Biotechnology will be considered as a subject for academic eligibility. BAMS/ BHMS courses: Candidates who have passed in the subjects Physics, Chemistry and Biology in the Higher Secondary examination of Kerala Higher Secondary Education Board, or examinations recognized equivalent thereto, with 50% marks in Biology separately, and 50% marks in Physics, Chemistry, and Biology put together, are eligible. For BAMS/BHMS courses, Biotechnology won’t be considered as a subject for academic eligibility. BUMS course:Candidates who are looking for an admission to main Kamil-E-TibWa-Jarahat (Bachelor of Unani Medicine and Surgery-BUMS) course must have passed in the subjects Physics, Chemistry and Biology in the Intermediate (Plus Two) or its equivalent examination with 50% aggregate marks in the subjects of Physics, Chemistry and Biology and 50% marks in Biology separately and the candidate should have passed (a) 10th standard with Arabic or Urdu or Persian language as a subject or clear the test of Urdu in the Entrance Examination conducted by the University or Board or Registered Society authorized (b) pre-Tib examination of one year duration. Sc.(Hons. )Agri., B.Sc. (Hons) Forestry, BFSc courses: Applicants who have passed Higher Secondary examination of Kerala Higher Secondary Education Board, or examinations recognized equivalent thereto, with separately scoring 50% marks in Biology, and also score 50% marks in Physics, Chemistry and Biology together, are eligible. Here also, Biotechnology will not be considered as a subject for academic eligibility. & AH Course: The applicants should have to secure not less than 50% aggregate marks in English, Physics, Chemistry, and Biology for the qualifying examination, also in addition to the condition as stipulated as above. Relaxation in marks is permissible as stipulated in clause 6.2.5 of KEAM-2018’s prospectus. Eligibility of BSc. Degree holders:Applicants who have passed the Three year BSc Degree examination with Physics, Chemistry, Zoology, Botany or Biotechnology as Main, and any one or two of the above subjects as Subsidiaries, with scoring 50% marks for Main & Subsidiaries taken together, subject to the condition that they have passed Higher Secondary Examination from Kerala Higher Secondary Education Board or examinations recognised as equivalent thereto with Chemistry, Physics, and Biology as optional subjects are eligible for admission to MBBS, BAMS, BHMS, BDS and BSMS courses. You can download KEAM 2018’s detailed syllabus. 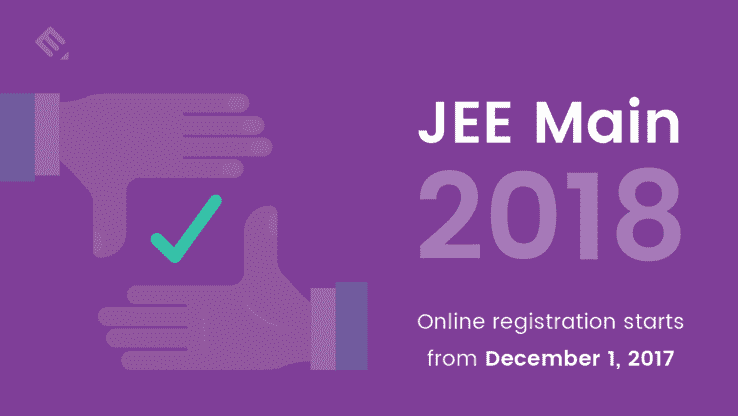 The admit card for KEAM 2018 will be available online at CEE’s official website. Usually, the KEAM Admit Card will be available to download for one or two weeks before the examination. The candidate can download their Admit card for KEAM 2018 by entering the details such as their Application Number, Password along with the Date of Birth. The candidates should keep a print out of the KEAM Hall Ticket on the day of the examination. 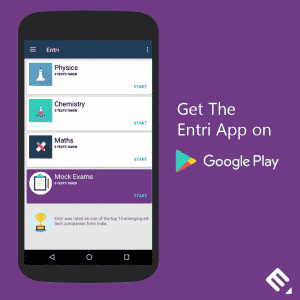 Marking Scheme: For each correct answer in the Engineering Entrance Examination, the candidates will get four marks each and for each incorrect response, one mark will be deducted from the total score. Entrance Exam for engineering courses will be conducted with a relative weight of 3:2:5 in Physics, Chemistry, Mathematics. The results for KEAM 2018 will be published on 25th May 2018. Candidates can see their results for KEAM Entrance Examination on the official website on or before 25th May 2018. Candidates can also see their marks and so that they can evaluate their performance. The Rank list for KEAM 2018 will be published for all the courses separately on the official website. Candidates can see the rank list for KEAM 2018 before 20th June 2018 tentatively. 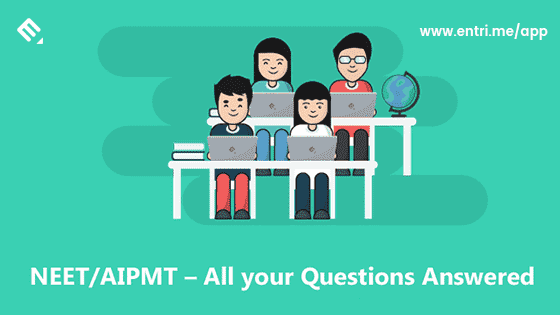 The answer key for KEAM 2018 Question Papers will be available after the exam day. 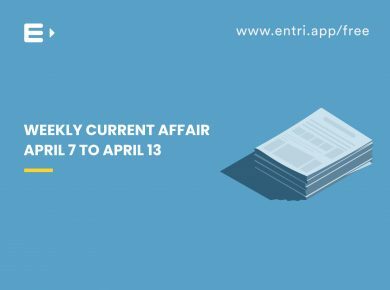 For KEAM 2018 the CEE will publish the solutions for all the papers as soon as possible. Candidates can check their answers to KEAM 2018 exam on the CEE Kerala’s official website and also we will be published on our blog. KEAM will follow the Centralised Allotment Process – CAP using the SWS – Single Window System for allotment of seats to the successful candidates. Candidate will get admission based on rank scored by the candidate and the options chosen by the applicant at the time of applying online for KEAM 2018. The entire counseling process and allotment process will be managed by CEE (Commissioner for Entrance Examinations, Kerala). The candidates should report to the allotted college for the confirmation of admission after the getting seat allotment. After the finishing the online allotment procedure, colleges will conduct the spot allotment for filling up the remaining seats. Applicants listed in concerned rank lists are eligible to participate in Spot admission Process. A candidate admitted to Government Controlled Self Financing institute on a Government seat can take part in Spot Admission for admission in a Government College. The CEE is authorized to issue orders regarding Spot Admission. 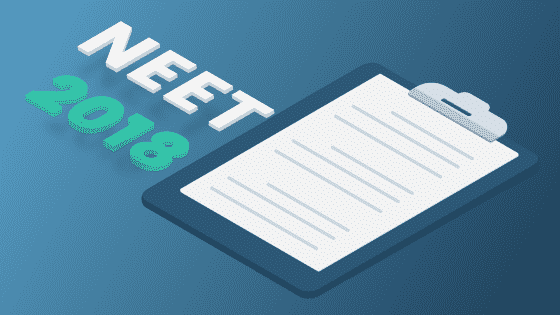 NEET Exam 2018: Registration Started, Apply Online Now!